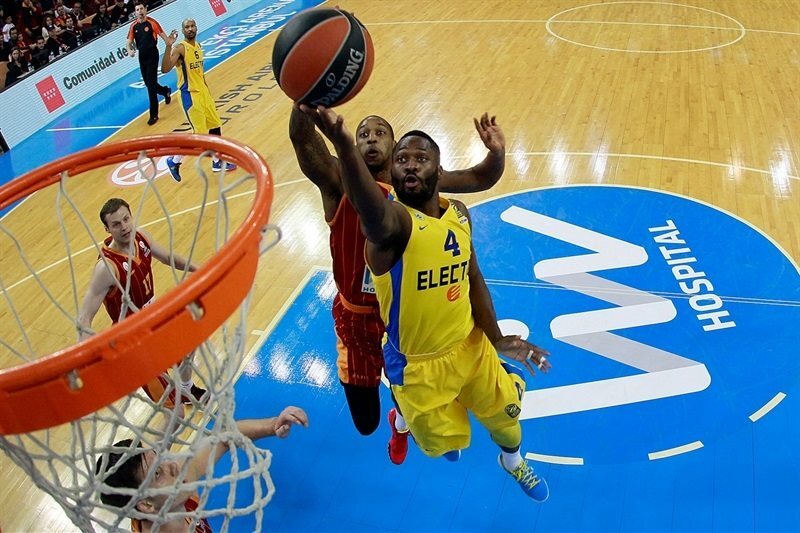 Jeremy Pargo pulled up for a game-winning three-pointer at the overtime buzzer to lift reigning Turkish Airlines Euroleague champion Maccabi Electra Tel Aviv to a 94-97 victory over Galatasaray Liv Hospital at Abdi Ipekci Arena in Istanbul. 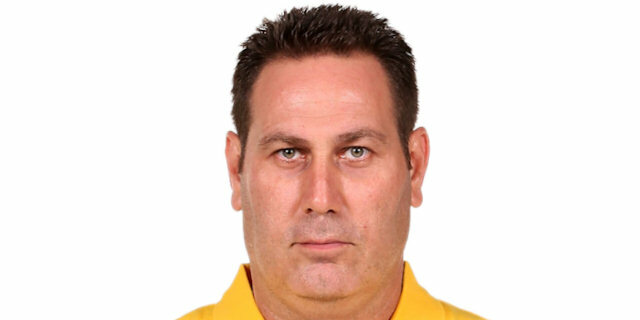 The drama-filled game saw Maccabi rally from a 10-point third-quarter deficit to lead by as many as 10 in the fourth. Galatasaray stormed back and Zoran Erceg’s free throw with 4 seconds left in regulation tied it at 85-85, but the big man could have put his team ahead if he made the second. 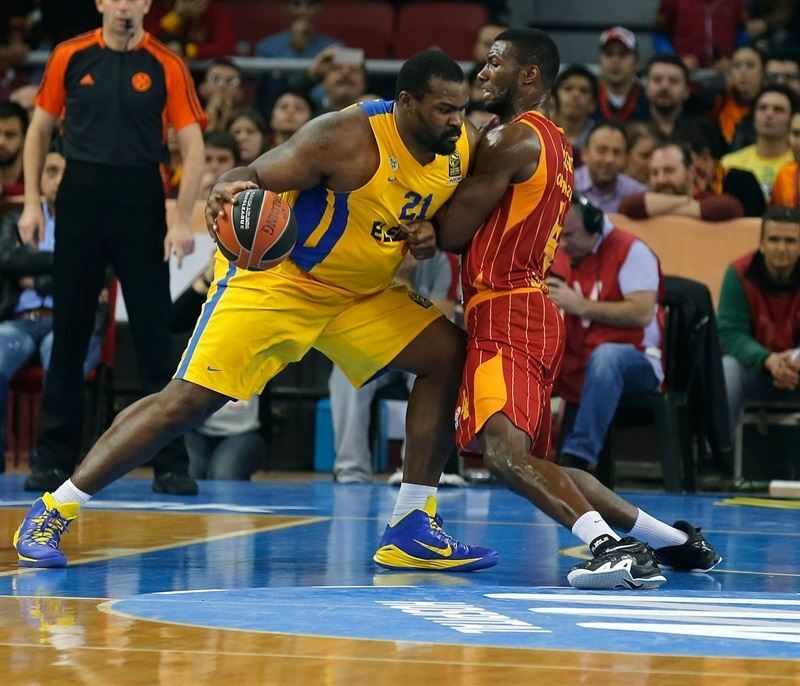 Instead the game went to overtime, where the sides stayed close until Pargo made the difference. 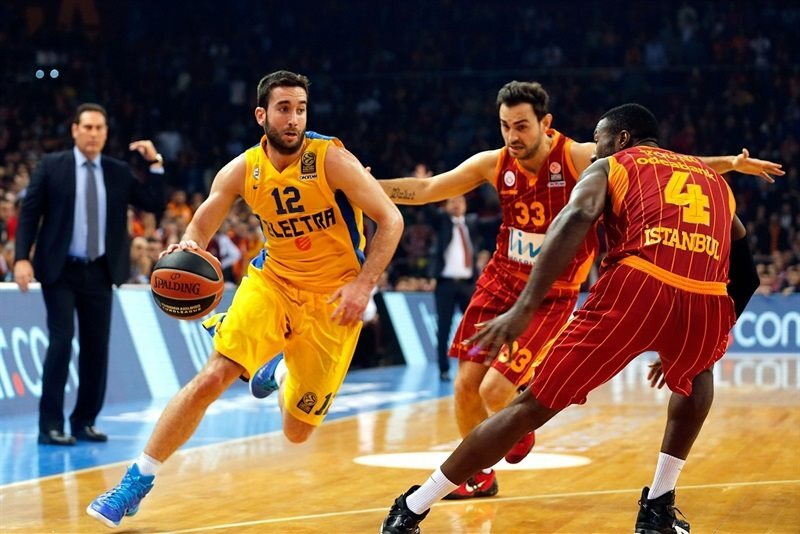 Maccabi improved to 5-1 to remain atop Top 16 Group E, while Galatasaray slipped to 2-4 after its third straight loss. Devin Smith led Maccabi with 24 points, Pargo finished with 17, Sylven Landesberg scored 14 and Sofoklis Schortsanitis 10. 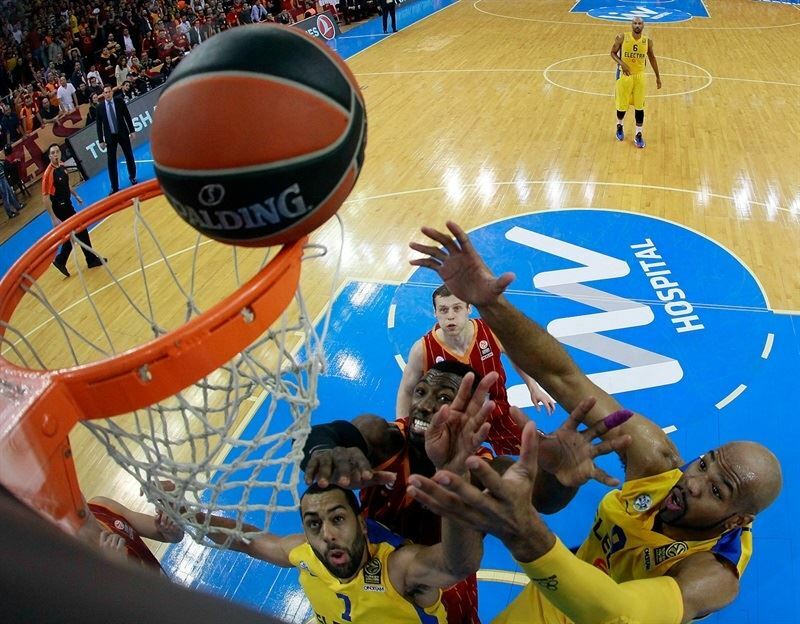 Smith and Landesberg were among three players that fouled out in the final minutes of the fourth quarter for Maccabi. 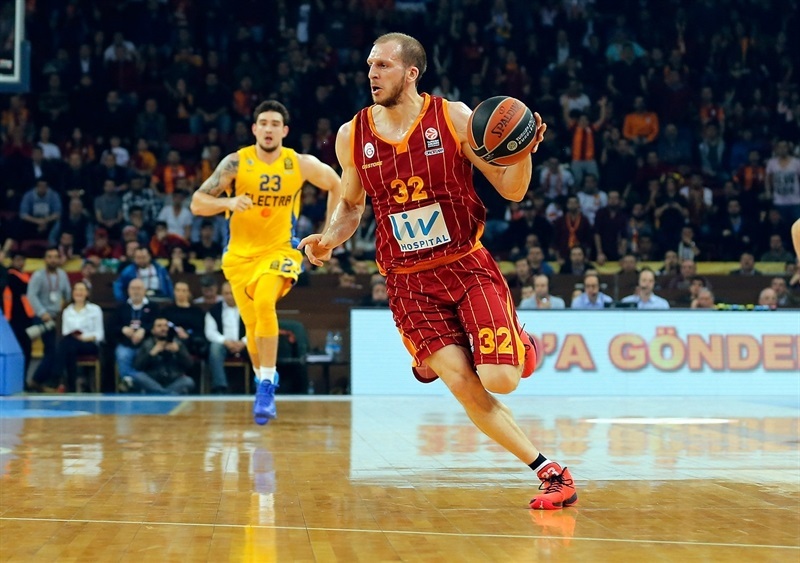 Galatasaray was also shorthanded with starters Carlos Arroyo and Vladimir Micov sidelined. Zoran Erceg scored 29 points for the home team, Ender Arslan netted 20, Justin Carter 14, Sinan Guler13 and Patric Young 10. The champs won the opening tip and Brian Randle sank a baseline jumper. Smith stripped Martynas Pocius and took the ball in for a slam and a 4-0 start. Arslan sank a jumper and soon after added a three to get Galatasaray going. Pargo’s tough layup made it 5-8. Pocius tied the game with a three-pointer, but Yogev Ohayon answered from downtown. Erceg buried a deep three to even the score at 13-13 midway through the quarter. 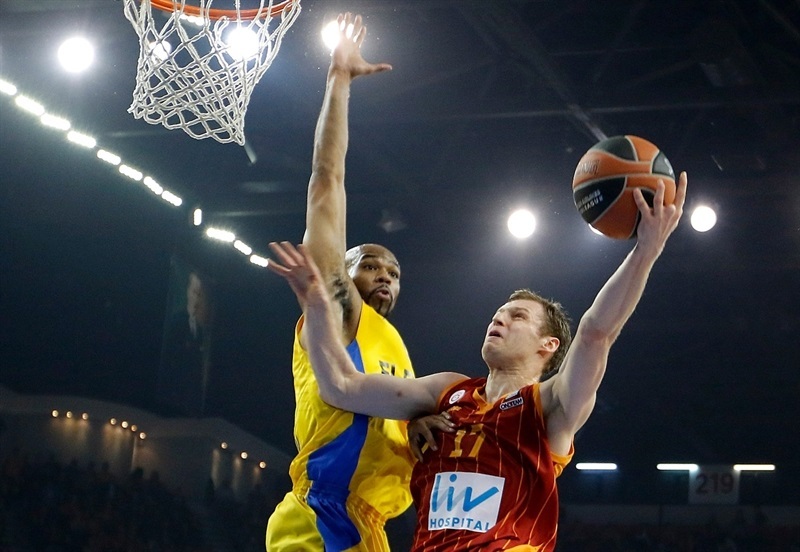 Pocius followed in Carter’s miss to give Galatasaray its first lead. Layups by Pargo and Randle put the visitors back on top. Alex Tyus got on the board with a tip-in. MarQuez Haynes rejected Young from behind and after a technical foul on the Galatasaray bench, Smith sank the free throw. Then Tyus blocked Pocius to trigger a fastbreak that Haynes finished with a slam to cap a 0-9 run. Young scored a reverse layup, but Joe Alexander countered with a jumper. Ohayon fouled Young to break up an alley-oop and the latter split the free throws. A Landesberg triple put Maccabi up 9. Arslan free throws and Young’s jumper made it 22-27 after 10 minutes. 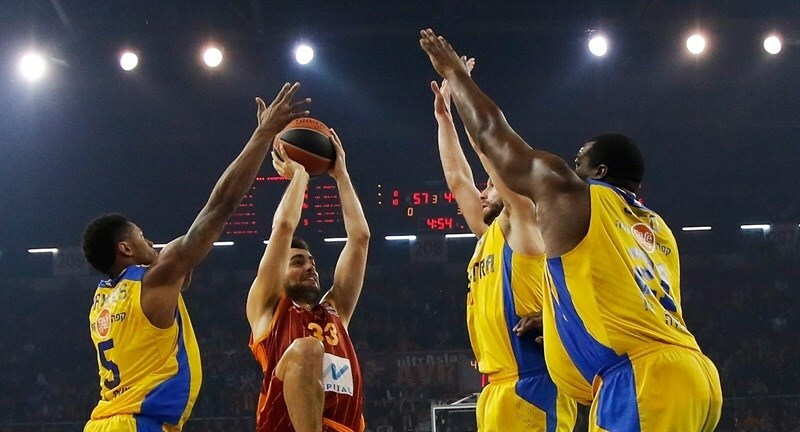 Guler heated up with a pair of buckets to bring Galatasaray within 1. Schortsanitis’s baby hook gave Maccabi a small cushion, but Guler added points from the charity stripe and a layup – that counted after Tyus’s goaltending – to keep the hosts within 1. Landesberg’s jumper made it 30-33. Tyus scored down low and blocked another shot, but Erceg scored on the offensive glass for Galatasaray. Randle’s second-chance basket made it 32-37. Carter and Erceg brought the hosts within 1 before Smith drained a three-pointer. Carter attacked the offensive glass and was rewarded with a put-back, however Tyus soared for a tip-in, too. Arslan connected from behind the arc and Alexander hit a jumper. After Smith broke up another attempted alley-oop to Young, Pargo was called for an unsportsmanlike foul on Erceg, whom he pulled down after a steal. The power forward made free throws and put back Guler’s missed layup to take the lead, 45-44. Guler added a steal that Carter turned into a slam and Young’s tip-in made it 49-44 at the break. Pargo drilled a three to open the second half, but Carter matched him a minute later. Ohayon drove through the paint for a layup that made it 52-49, but an Erceg triple and Young dunk on the break extended the difference to 8. Randle took a seat with 4 fouls and Arslan beat the 24-second clock with a short jumper for a double-digit difference. Smith drilled a three to end a nearly four-minute scoring drought for Maccabi. Schortsanitis finished inside to make it 60-54. Guler fed Aleks Maric for a layup, but Smith converted a three-point play. The swingman added another three and Ohayon came through with a steal, drawn foul and split free throws as the shrunk to 1. Young was called for goaltending on a Haynes layup as Maccabi regained the lead. Carter free throws left the hosts up 64-63. Schortsanitis scored inside for Maccabi. Then Guler and Smith traded threes. The lead changed hands again on an Erceg hook that made it 69-68. Landesberg converted a rare 4-point play to quiet the crowd. A moment later, Landesberg hit another three for almost the same spot for a 6-point cushion. Carter exploded through the paint for a highlight-reel slam. After Tyus was unable to convert an alley-oop, an Arslan layup made it 73-75. After a timeout, Smith drove the lane for a three-point play. Pargo’s jumper made it a 7-point game with four minutes remaining. Smith buried his fifth three to give the visitors their first double-digit advantage. Young finished at the rim for a slam and foul. Erceg’s free throws cut the difference to 77-83. Maccabi broke the Galatasaray press for a Landesberg layup, but Erceg countered quickly with a layup and Smith fouled out on the next play. Landesberg fouled out too as Carter split the ensuing free throws to make it 81-85 with 1:47 left on the clock. Erceg made it a 2-point game. After Randle fouled out, Erceg went to the line with 31 seconds left, but only made 1 of 2. 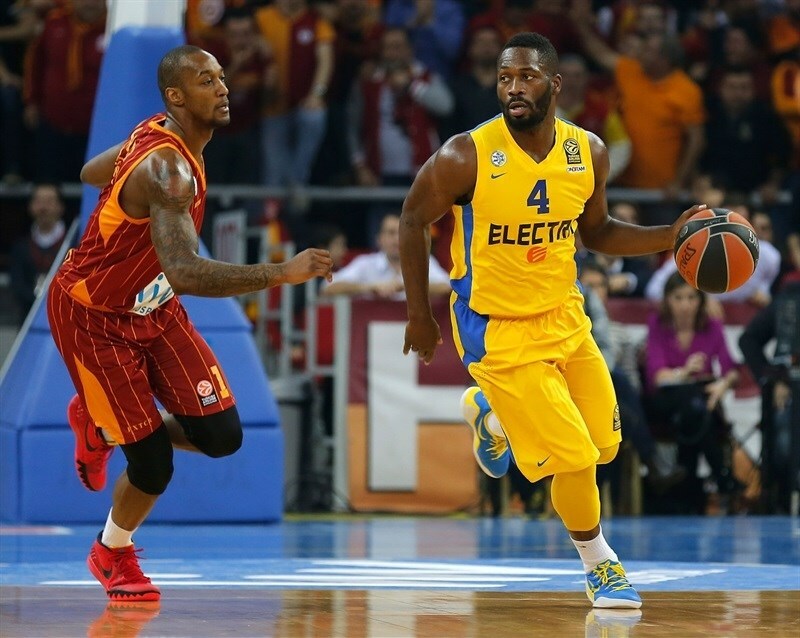 However Pargo missed a three and Erceg got back to the line with 4 seconds to go. The usually reliable Erceg again split free throws to leave the game tied at 85-85 and Pargo missed a halfcourt heave at the buzzer. Overtime: Pargo at the buzzer! Arslan scored the first points of the extra session with a three-pointer after one minute. Pargo countered with a three from the top of the key. 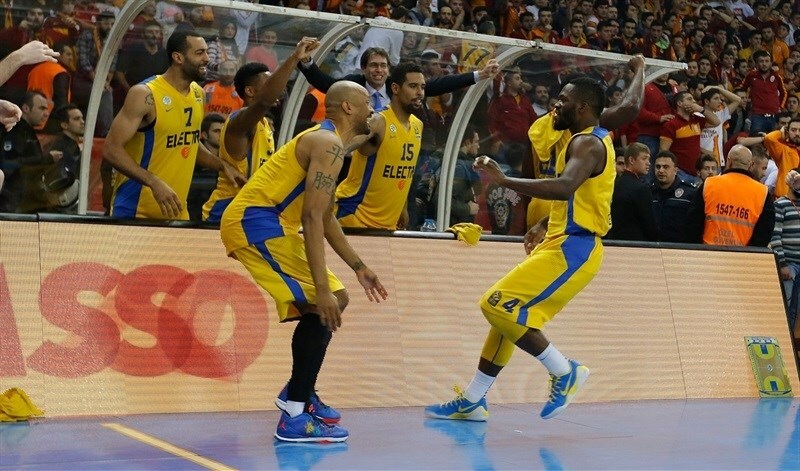 Guler scored a floater, but Schortsanitis scored on the block to make it 90-90. After Nate Linhart tipped in a missed Schortsanitis free throw, Erceg tied the score from the line. Arslan went through the lane to give Galatasaray a 2-point lead with just under a minute on the clock. Ohayon sank 2 foul shots with 36 seconds remaining in the period to even the score once more. Tyus rejected Arslan and Carter missed a jumper with 11 seconds showing. 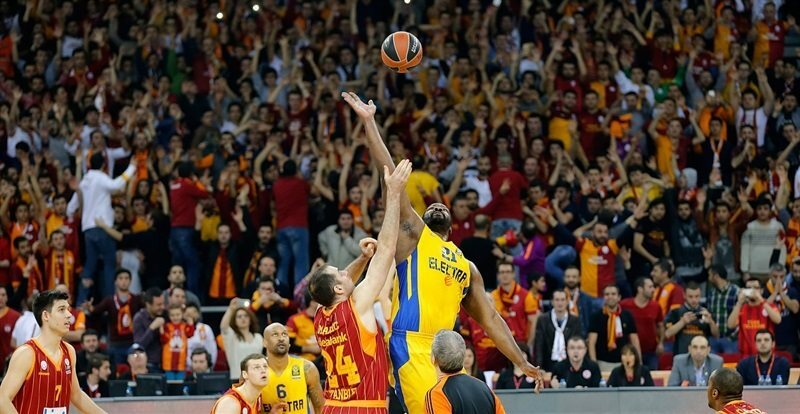 Pargo took the ball for the final shot, pulled up and sank a buzzer-beating three-pointer to win it. 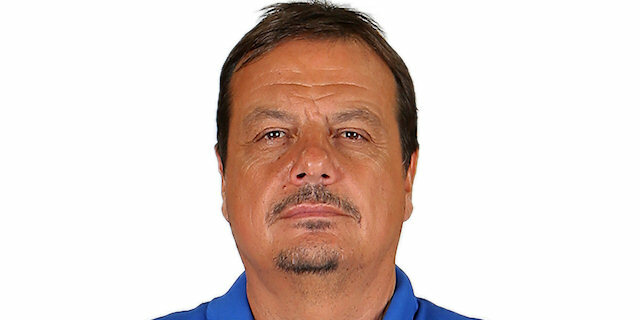 "Tonight my players put their heart on the floor and fought from the first second till the end for the win. 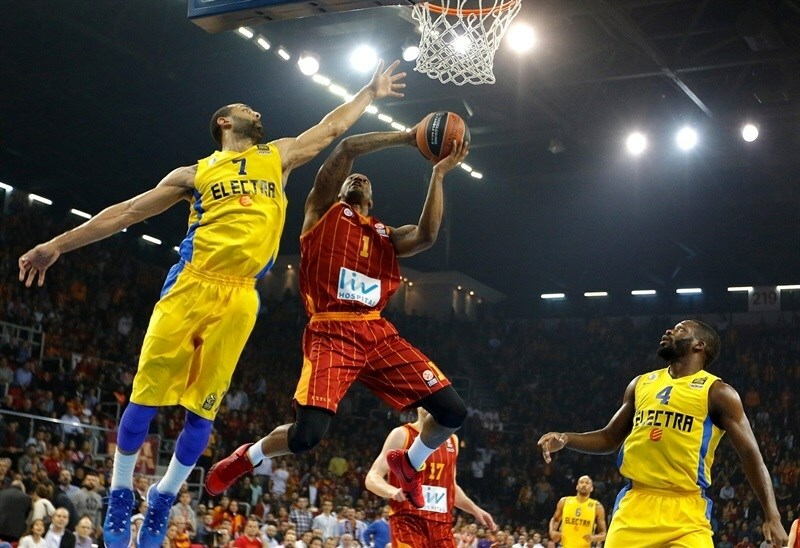 Our rival was the last champion of the Euroleague, but we didn’t step back . " "It was a very difficult game. They were missing two key players and we knew that others would step up in their place. We weren’t sharp on defense and allowed a lot of easy baskets; there’s no excuse for that. We fell into a deficit, but we showed character to come back, particularly through great minutes from Devin Smith and contributions from Sylven [Landesberg]. In the end it was Pargo. He’s always there, but once again this year he did it at the critical moment. The main thing is that we’re going home healthy and with a victory. "